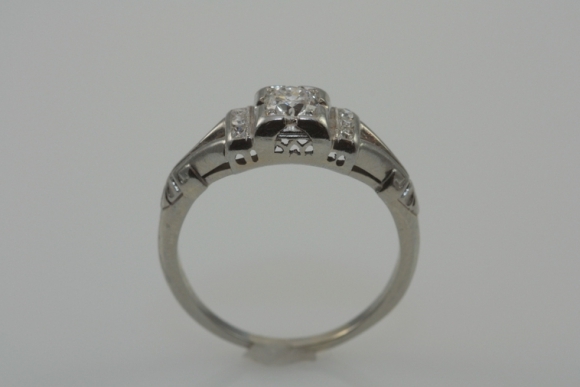 This charming engagement ring is set with an Old European cut diamond measuring .25 carat. The diamond is set in a box style head and is accented by three round diamonds set on each shoulder. 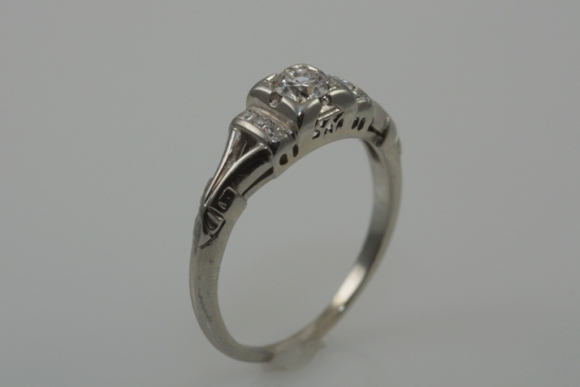 The split shank is nicely detailed and the ring has a pierced gallery. 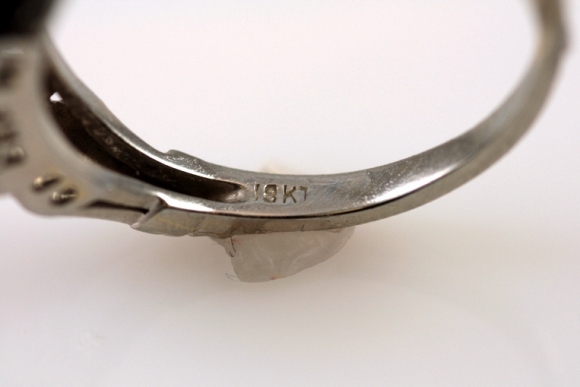 The ring is in 18K white gold. 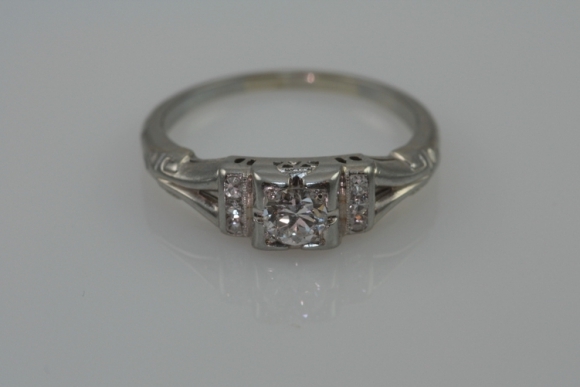 The ring is a size 7 and may be sized for a perfect fit.